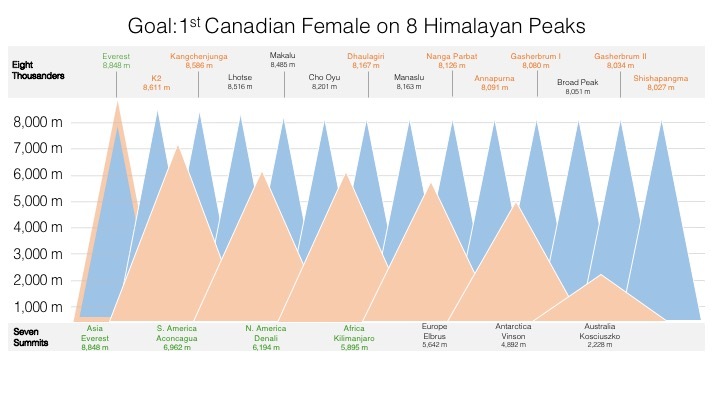 Hello, my name is Illina Frankiv and on May 18th, 2018 at 7:30 am (Tibetan time) I became the 4th Canadian female to summit Mt. Everest via Tibet. To avoid the additional danger and cost of the Khumbu Icefall, I climbed the north side of Mount Everest. Where I'm headed has a lot to do with where I came from.